Hi there! Well, you know your a certified coffee addict when you make a video about your new coffee machine. My Maid of Honor's family got this machine for me as my wedding gift and I have been so thrilled with it so far. If you love a strong and flavorful cup of coffee thats perfect every time, you may want to consider purchasing this machine! I did have a Keurig for a while and, while its much cheaper, it seemed to start acting up pretty early on it it's life. It would make half cups of coffee or make cups that had a weird taste. Did I clean it as frequently as I should have? Probably not...but for these reasons I decided to move on from Keurig to greener pastures. 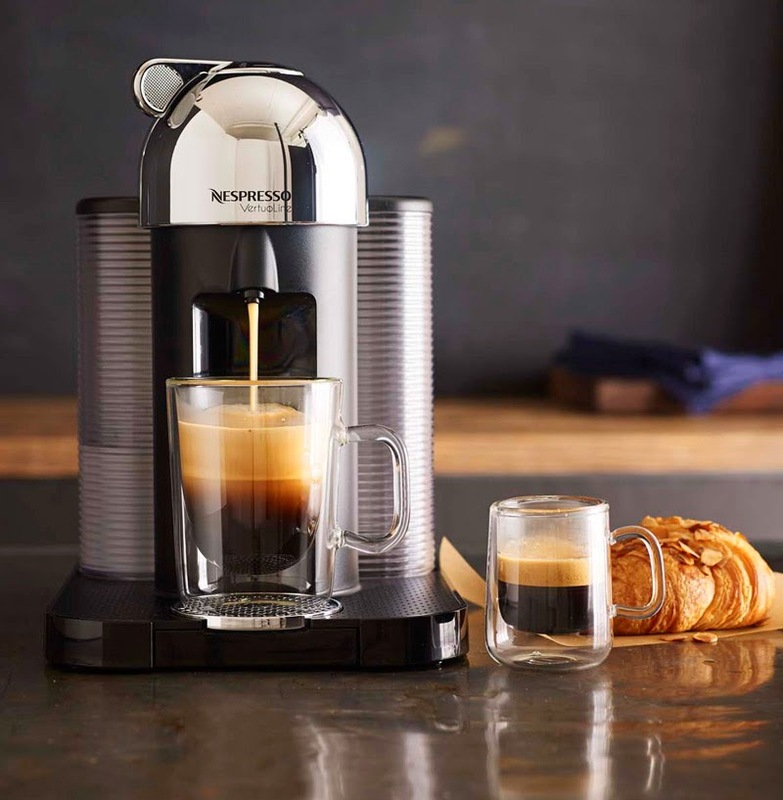 The Nespresso Vertuoline makes coffee and espresso using coffee pods similar to the ones used by the Keurig. The pods are pricey at just under $1 per pod (~.95 cents), but if you wake up looking forward to your cup of coffee like I do, it may just be worth it. You can purchase additional accessories such as the Nespresso coffee steamer to create drinks like lattes and cappuccinos...the machine itself does not make those drinks ((which I actually didn't realize until I used it)). I am the only coffee drinker between my husband and I but he enjoys the occasional espresso or cappuccino. This machine works well for me because the pods last quite a while given that I am the only one using them.